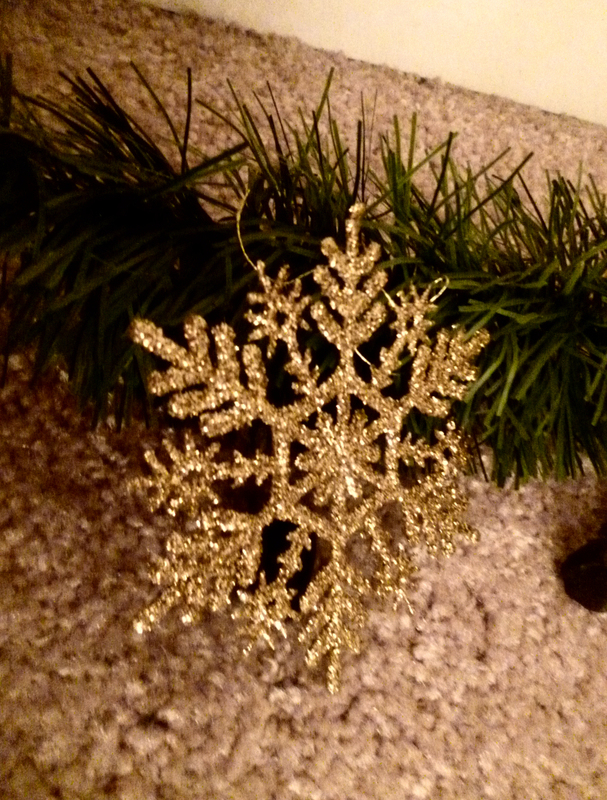 The night of our winter solstice celebration, we got our first major snow of the year. How appropriate! 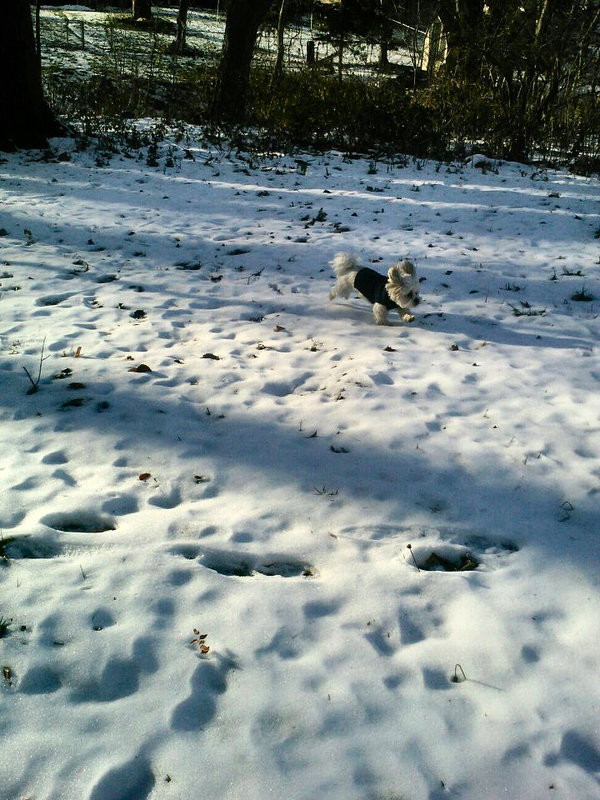 Artemis, our Lhasa Apso, absolutely adores snow. 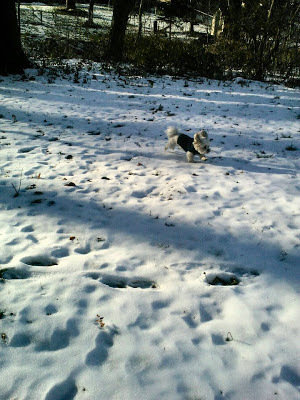 When I noticed it was starting to melt away this evening, I just had to let him out so he could enjoy the last of it. Hopefully there will be more snow in our future! Every sabbat, my circle does a group ritual. For the winter solstice, I dressed the circle up with garland and gold glitter snowflakes around the stones I typically use to define the borders. 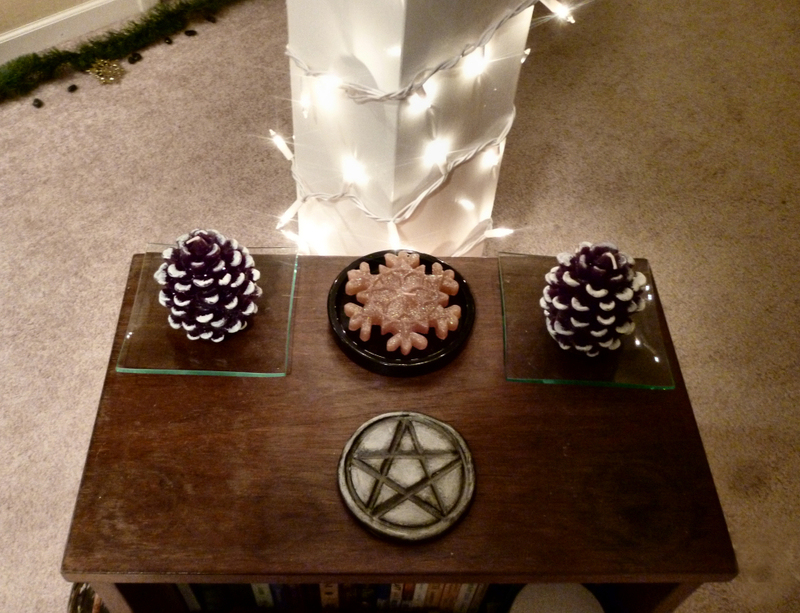 The altar in the center had two pine cone candles and one snowflake candle similar to the glitter snowflakes above. There's a wooden pole in the center of the circle which I wrapped in lights. Even each corner had its own decoration. "We are a circle within a circle, with no beginning and never ending." Then the ritual begins. Typically, I start with a welcoming and an individual calling of energies, spirits, ancestors and/or deities. Because many in the circle have differing beliefs, it is my goal to include everyone in each ritual by letting them call the appropriate energies for their workings. For Yule, we focused on the lengthy darkness and the coming of the light. I asked each person to recall a dark moment in their life and state what kept them going - their spark of light. 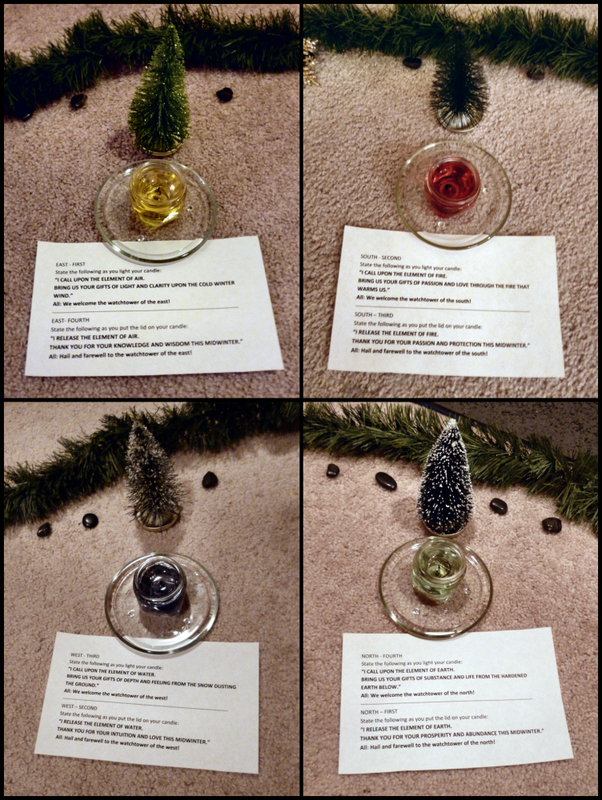 We wrote upon the Yule log one goal, then broke that goal down into simple steps. We took one step that someone might be able to help us with, wrote that on a sheet of paper and put it into the basket. One by one, each person drew a slip of paper and thus became someone's Spark of Light for the upcoming year. Furthermore, we flipped those papers over and wrote down something we could do to be the Spark of Light in our community. Some wanted to donate blood or clothes. Quite a few of us decided we could carpool together and volunteer at a soup kitchen. A couple of us also wanted to volunteer at a pet shelter. We honor the Wheel, for it is our teacher. It shows us that we must all go through the longest night. That the challenges are a part of the endless cycle of life. The stillness of the night can be introspective. And that we must be accepting of others as well. And so we honor the dark on the longest of nights. But even in the dark, there is light,And we are never alone. To survive, endure and prosper, we must share, depend and help. So too do we have friends and family that will help us on our journey. And even we know that the night cannot last forever. Just as it always does. And so we honor the light in the morning. The greatest teacher we will ever know. O Winter, cast your eyes upon us this night as the solstice approaches. And blessings upon the Earth. At the end of the ritual, after we closed the circle, we passed through the wreath. This is a tradition that symbolizes moving from the darkness to light. When the ritual is over, all the candles are snuffed and the circle area is dark. 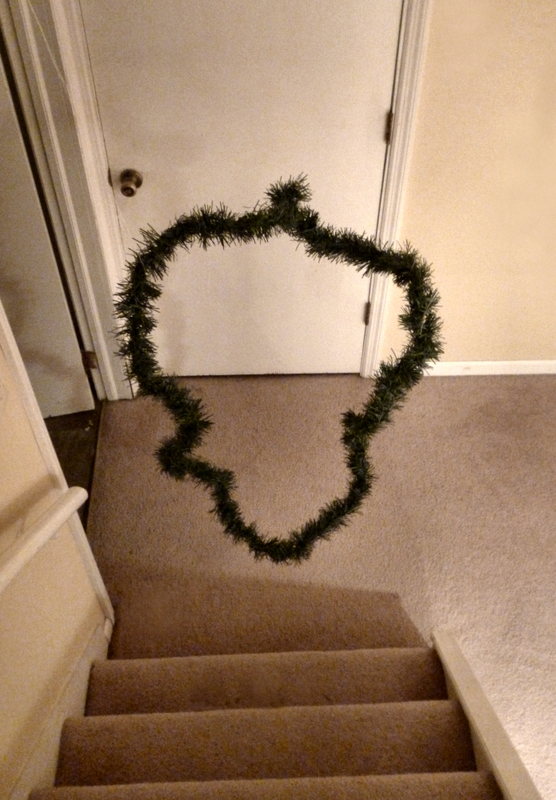 With the tree still lit, upstairs is bright. Hanging the garland in the shape of a wreath, each person stepped through, passing from the darkness of the basement to the light of the world above - much as we did when we watched the sun rise in the morning. The next sabbat, Imbolc, will be special this year as it will be the first ritual that I will not write nor lead for the group. Since I wrote and led Samhain, I passed the other fire festivals on to other members of the group. Because we are not a coven and I am not a high priestess, I wanted everyone to have equal chances and equal say in each of the major rituals. 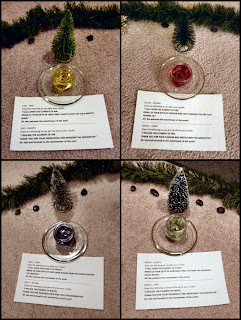 What did you focus on in your Yule ritual? Thank you so much for your kind comments! I really appreciate it. I hope your Yule ritual went well. Best of luck to you and your circle!